Seven months ago, on October 1, a gunman began firing on a large crowd of 30,000 people that had come to the heart of the Las Vegas strip to listen to their favorite country music stars and enjoy life with friends and family. What they didn’t know is that the gunman, in the days before, had carried many suitcases stuffed with guns and ammo to his suite on the 32nd floor of the Mandalay Bay Resort and Casino. There he assembled an arsenal of 23 firearms, including many semi-automatic rifles, and thousands of rounds of ammunition. 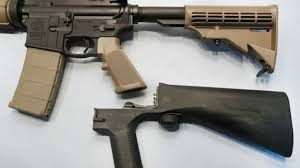 Several of the semi-automatic rifles were outfitted with bump stocks, a device that uses the rifles’ own recoil action to simulate the automatic firing of a machinegun. Armed with semi-automatic rifles outfitted with bump stocks, the Las Vegas madman did not have to be particularly skillful in his marksmanship. With the gunman’s single pull of the trigger, the bump stock initiated a continuous firing until running out of ammunition. Then he picked up another weapon and the unceasing firing continued. From his perch high above and 1,000 feet away, the madman raked the crowd over and over again. 1,100 rounds in all. In a few minutes’ time many lives were destroyed or forever altered. For most Americans, the actions of this mass murderer on October 1 was the first time they were introduced to the devastating firepower of bump stocks. The Las Vegas tragedy claimed 58 lives, injured more than 800, and reminded Americans again of the gun violence problem that claims victims across each community, and across each state. Unregulated by the federal government, bump stocks are plentiful in the marketplace. With an average price of $200, the Federal Bureau of Alcohol, Tobacco, Firearms and Explosives (ATF) estimates that 520,000 bump-stock-like devices have been purchased. With the public and many Members of Congress demanding action, the US Justice Department and ATF has proposed new regulations that would define bump stocks as “machineguns” under federal law. If approved, this new regulation would prohibit the possession, sale or manufacture of bump stocks. This is huge progress and I congratulate the Justice Department and the ATF for taking this important step. The ATF proposed rule is still a work in progress. ATF is seeking public comment through June 27. After their review of the public comments, they may issue a Final Rule laying out how these devices will be treated in the future. Or they may decide to leave everything just as it is. On behalf of the Horry County Democratic Party, I was pleased to write to the ATF and offer suggestions. I hope that you, too, will write to the ATF and share your thoughts on ridding our communities of this device that can reap such destruction if placed in the wrong hands. No doubt, the other side is getting their share of letters in, so we need to take action. While the ATF proposed rule is a good start, I believe it can be improved. Under the proposed rule, the future manufacture or sale of bump stocks would be prohibited. But that still leaves over one-half million bump stocks circulating in our cities and towns. While most gun owners are responsible citizens, we have seen the consequences when bump stocks fall into the wrong hands. This is a pressing issue when you consider that four percent of all burglaries involve the stealing of a firearm, and nearly 25 percent of firearms stolen are long rifles. Since bump stocks are unregulated, no one has kept track on how many of these devices are stolen. But with one-half million bump stocks being held in private homes, it’s a good guess that many have been stolen along with the rifles that were burglarized. This problem may be particularly acute in South Carolina, where 44,057 firearms were estimated to be stolen from 2012 through 2015, according to the FBI. This number of firearms stolen places South Carolina 7th highest among the 50 states. It’s reasonable then that the ATF proposed rule, if approved, would compel private owners of bump stocks and gun shops to either turn them into the ATF or use their own means to destroy them (a good hammer would do the trick). But the kicker is that the ATF is depending on bump stock owners to do this on their own. While some bump stock owners will comply and voluntarily turn-in or destroy their devices, MANY WILL NOT, and still others may only do so if they are compensated. That is why I suggested to the ATF they set up Demonstration Buy-Back Programs to test their effectiveness in getting bump stock devices out of our communities. This would be similar to gun buy-back programs which many communities have sponsored, with some succeeding in reducing the number of firearms in the locality. Our suggestion to the ATF is to set-up ten demonstration programs in the different states having the highest number of stolen firearms. 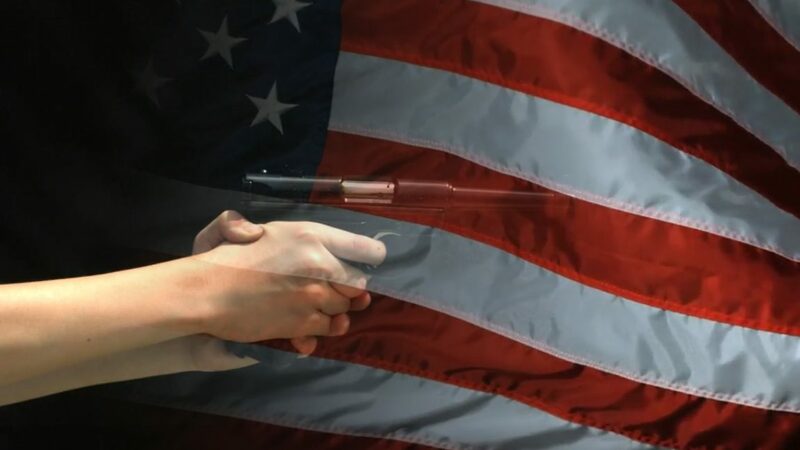 Over a three-year period the buy-back demonstration programs could test different advertising and other outreach strategies to see which ones are most successful in having owners turn in their bump stock devices. While the demonstration buy-back programs would run in the 10 states, we urged the ATF to reach out to the bump stock owners in the 40 other states through an aggressive multi-year advertising campaign. This campaign would alert them their bump stocks are now illegal and must be destroyed or turned-in. In the proposed rule the ATF simply acknowledges the need for advertising to alert bump stock owners of these obligations, but it failed to recommend any budget to support this advertising. Hopefully our comments will help rectify this over-sight. Clearly the risk of bump stocks falling into the hands of those with criminal or terrorist intentions is exceedingly high. In my letter on behalf of the HCDP, I encouraged the ATF to engage with Americans on several levels through buy-back programs and public service advertising to rid our communities of these devices. For everyone’s safety that can’t happen fast enough.